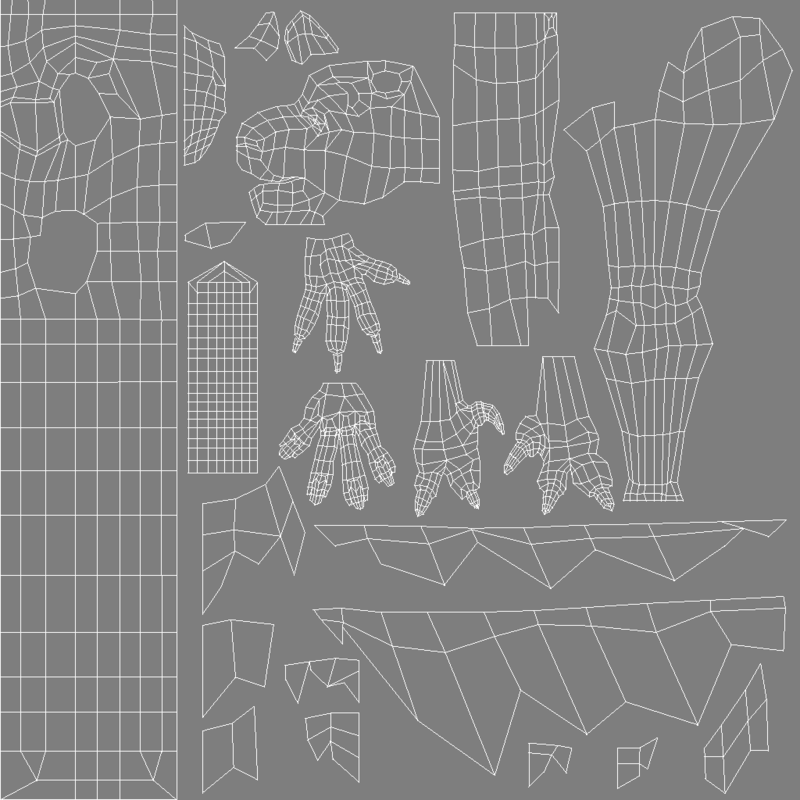 Okay, this is the first time I’ve actually unwrapped UVs without any help. UVs Blow. I’m sure there’s some trick to doing it where you don’t wind up with a ton of orphaned UVs, but I wouldn’t know it. Anyway, I got through it, and soon I’ll be painting the texture, hurray!